And, for the self-employed, there are quite a few tax deductions that are often overlooked. Here’s a great reference to ensure you don’t forget about any applicable deductions! If you work from home (even if it’s only part-time), there are some expenses you may be able to write off for 2018. The important thing to keep in mind is you must have a portion of your home, apartment or condo that is used exclusively for work. If you do, part of your utilities and insurance costs can be deducted as business expenses. Recently, the IRS provided a simple equation that allows taxpayers to deduct $5 for every square foot of space that qualifies. There are other options still available for calculating your write off, so be sure to do your research. This topic is very different for those who are self-employed versus employed by a company. If you’re self-employed, you can deduct what you pay for medical insurance for not only yourself, but also what you pay for your family. There is one caveat though. This deduction does not apply to those who have the option to participate in an employer-sponsored health insurance through another job or through your spouse’s job. This works differently than the general health insurance premiums listed above. If you are still self-employed after you’ve qualified for Medicare, you can write off the premiums you pay for Medicare Part B and Part D. You can also write off supplemental Medicare policy costs or what you pay for the Medicare Advantage plan. This is a break for the self-employed, but not if you are an employee of a company. 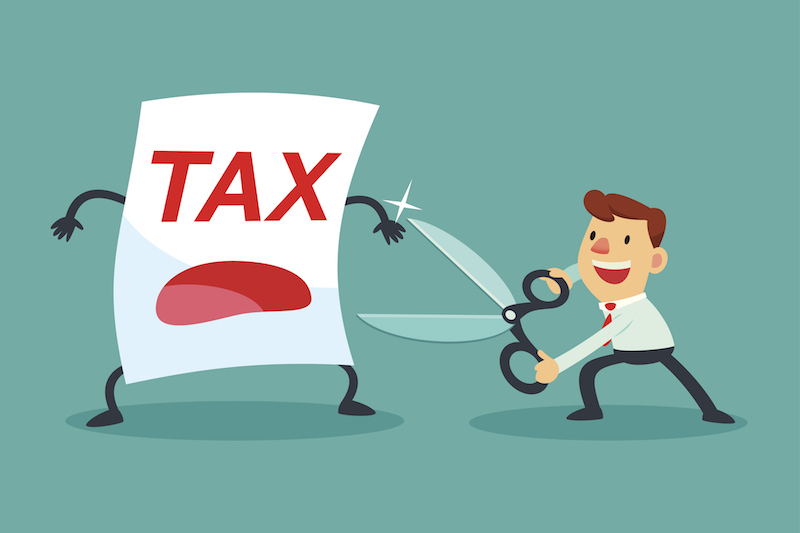 When you are self-employed and have to pay 15.3 percent tax yourself, you can write off half of what you pay, since, in a normal employee/employer relationship, the company takes care of that 50 percent. There are a number of tax-sheltered retirement options that provide immense value to self-employed individuals. Plans include simplified employee pension (SEP) or a solo 401(k), both of which have higher annual limits than regular individual retirement accounts. With all of these options, you will be able to contribute money pre-tax. Speak with your accountant or an investment specialist for more information and to find the best fit for your unique needs. Chances are you’re already keeping track of general expenses like mileage or taking clients out to lunch. But, what about when you buy equipment? Typically, there are two options. The first option is to depreciate the cost and deduct the expense over a number of years (the life of the equipment). There is a calculation that is applied to this equation, so speak with a tax professional for more information and to see if this is a good option for your particular situation. The second option is expensing (Section 179 deduction). With this method, you can write off 100 percent of the equipment cost in one year. As with option one, we recommend speaking with your CPA to figure out what option is most beneficial for your situation. We hope that this information helps save you the headache of scurrying around in March to figure out if you forgot about any tax write-offs. If you aren’t sure about any of these items, talk with a tax professional. He or she will be able to create a plan that works best with your unique situation. Of course, if we can assist you with any of your escrow needs, please don’t hesitate to contact us! We’re here to help you.